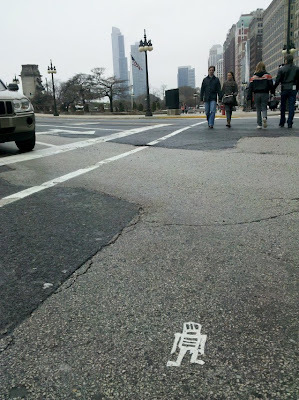 The mysterious Stikman just north of the Sloop at Michigan and Van Buren. Supposedly these are all around the world according to a couple stories that we found. Good to have this little guy in close proximity to the Sloop! 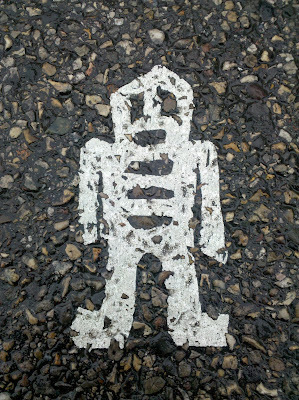 I've also seen the Stikman in the Gold Coast at Chicago and Rush and in Lakeview at Clark and Belmont. 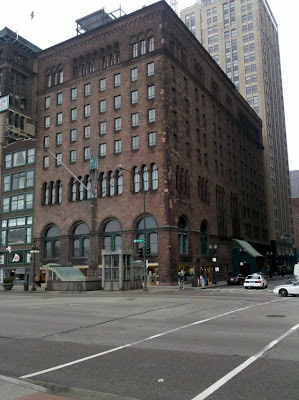 There are 2 on Wabash (around Randolph, Washington) and another on Franklin/Adams.